SKD: Tough competition for Sarees, Lehengas, Lachas, even Coporate wear! Can SKD be preferred choice of brides? All of you would say, of course! Sikh brides wear for their Anand Karaj (Gurudwara) wedding all the time. And suddenly picture of pretty brides in red & gold embroidered Salwar Kameez Dupattas is alive before our eyes. But times have moved, so has our humble Salwar Kameez which was till few years ago was witnessed as comfortable alternative to saree. Coming back to SKD’s, yesterday I watched Band Bajaa Bride on NDTV Good Times which showed make-over of a Sikh bride and her preparations for Gurudwara wedding. I was amazed to see the bridal outfit done by ace designer Sabyasachi Mukherjee which was an Anarkali in pale pink with very heavy gold embroidery though very tastefully done for the bride’s wedding. It was such a pleasant break from the regular wedding outfits in red & gold. The outfit was so splendid that a bride from any state would love to have her wedding in that. Indeed Salwar Kameez has undergone a complete transformation in last few years, and I must say Anarkali Suits are the longest running fashion statement. The craze for Anarkalis is just not fading; they are everywhere – Sangeets, Mehendis, Ceremonies, Festivals, Parties, kitty parties, themes parties, social get-togethers and even offices. Once considered as pehnava of North (Read: Delhi / Punjab/ Haryana) it is ruling the roost. No wonder in other parts of the country these are being addressed as: Punjabis. Today the humble SKDs are adorned by the fashionistas across the world for their special occasions. 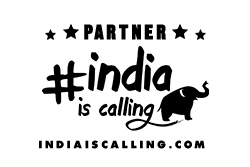 Owning to some remarkable work done by designers like Sabyasachi, Abu Jaani & Sandeep Khosla, Ritu Kumar, Shaina N.C. SKDs are making fashion statements globally. Me, my mother & my daughter, all are equally fond of SKDs. I wear it regularly for my office and not just for special occasions and I must admit I am most comfortable in them, and look stylishly dressed too. Though availability of readymade SKDs in malls, high-streets and regular markets have made it very easy to access them which fit also quite well as they come in all shapes and sizes. Semi-stitched versions which are available on line or offline are most preferred ones. There are host of choices available in SKDs which can give tough competition to not only sarees, lehengas, lachas, shararas or even corporate wear! While browsing online for some exquisite collection of Salwar Kameezes for upcoming marriages in the family and some other occasions, fast approaching New Year, I checked the site of http://www.triveniethnics.com that are well-known name in sarees for last 30 years. Like their designer collection of sarees for mass market, their SKDs collection is no less. It is a heady concoction of SKDs which one can pick up for special occasions like Mehendi, Sangeet, marriages, parties or even regular office wear. Some are so ethereal that you would just love to possess them. Free flowing fabrics, pleasing to the eyes colour combinations, nice embellishments, fine silhouettes are some of the high points of the collection. I would like to talk about one particular SKD – A white SKD in a brasso fabric with white lace in the neck line and at the bottom with Gota embellished Dupatta. The silhouette is a cross between A-line and Anarkali. It is ideal for all body shapes and particularly if you want to flaunt Simi Garewal like looks for your kitty party. All kittens in the party would turn green! So for all your “Green” friends, Triveniethnics has a beautiful straight cut mehendi green kutra with very tasteful embroidery and teamed with electric blue lacha and dupatta. This will certainly send some blue shock waves in the party. My choice was the black one with majenta and beaten gold embroidery starting from the neck-line and running below the waist with heavy border at the bottom. It is presenting a very wonderful contrast of colours and would be ideal for a night party where you want to look stylish as well as feel like a princess too! Yea, one important element, Triveni’s bottom combinations of salwaars, churidars, leggings, lachas, pajamas, patialas give them an interesting twist. There is a huge collection of SKDs which you can pick and choose just by visiting http://www.triveniethnics.com and buying online on the site is also quite easy. So need to run helter skelter for your SKD shopping. Just log on here! #MadeOfGreat What drives us from within – Conviction & Determination! It was brief encounter with someone #MadeOfGreat who helped me in shedding all negativity around me, least to say filled me with lot of positivism. I felt enlightened, no longer in control of my destiny, but controlling my destiny, to some extent. Coming back to the morning of November 15 when I was invited for Banking Conclave organized by Bank of India at Hotel Renaissance, Powai, Mumbai. This was not happening for the first time, I was invited to earlier versions also but this turned out to be quite different. Stepped out reluctantly for some high fandu banking jargon and data packed speeches by renowned bankers and economists of India, I cozily seated myself for the inaugural function. After customary lamp lighting etc. it was time to enjoy tea and snacks at the Renaissance lawns. I must say the view is just awesome from there, hills and lake overseeing the lawns. …now it was 12 noon, well almost, an announcement was made for spiritual session. Still I could not connect the Sadhuji I saw outside and the session inside. Suddenly I saw Sadhuji walking inside with few followers and I must admit he had great aura around him. I said to myself, good break from heavy doses of economy and finance! His presence on stage mesmerized the audience. What a voice, what pronunciation, impeccable English, great connect with audience, great stage presence, communicator par excellence – he was none other than Sadhguru Jaggi Vasudev of Isha Foundation. This was my first interaction with him…came to know about the great personality that day only. So for the uninitiated like me: Sadhguru is a contemporary Guru, rooted as strongly in mundane and pragmatic matters as he is in inner experience and wisdom, Sadhguru works tirelessly towards the physical, mental, and spiritual well-being of all. His mastery of the mechanisms of life, an outcome of his profound experience of the Self, guides in exploring the subtler dimensions of life. Sadhguru speaks at some of the world’s most prominent international leadership forums. In January 2007, he participated in four panels at the World Economic Forum and spoke on issues ranging from diplomacy and economic development, to education and the environment. In 2006, he addressed the World Economic Forum, the Tallberg Forum in Sweden, and the Australian Leadership Retreat. He has also served as a delegate to the United Nations Millennium Peace Summit and the World Peace Congress. & Now in complete control of the stage and packed hall of over 700 audience (mainly Bankers), Sadhguru started his speech. I was spell-bound, what corporate similes to our spiritual side. We were hooked to him, his speech, his style, his conduct…everything. He spoke about leadership and other management styles. But biggest message he gave through his speech from this stage was that one should be the controller of his/ her own destiny and not other way round. You should always surround yourself with positivity and shed away negativity; life will become so much peaceful. As far as leadership is concerned, there is a leader in all of us. Leadership can be displayed at any level but as a leader you should have three qualities: Integrity, Ability to Inspire and Insight. His speech lasted for nearly 55 minutes, and I did not move a centimeter on my chair, going by the fact that the restless soul I am. I was all ears to what he was talking. Never in my life had I heard such a personality who seamlessly blended our spiritual, personal and professional lives to bring out the best in us. Once speech got over, he intermingled with the audience and I was the lucky one to have a minute with him. He gave a look at me and quipped, “You have a smiling face, but sad eyes” make them smile too! Since then, I decided to encounter all adversities and negativity smilingly. & I have become successful to a great extent. Sadhguru Jaggi Vasudev is my choice for #MadeOfGreat who altered my life in many ways. Whenever I am sad, I think of him, my thinking has transformed. Story doesn’t end here. We received a hamper from Sadhguru comprising his Books & DVDS and I was quite restless to read them. I wanted to head home and start reading the books given to me. Driven by this thought, I chucked the car and decided to board the train to avoid Andheri traffic. I boarded the train from Andheri and had barely settled down, a young pretty girl sitting in front of me tapped me and asked, “Excuse me aunty, are you follower of Sadhguru Jaggi Vasudev?” I did not know what to answer. I told her about my interaction with him just few hours ago. She told me that her entire family is his follower and they visit him regularly in his ashram down south. Felt happy that I met the Guru & the follower same day. But today I feel like a better & enlightened being, all courtesy: Sadhguru Jaggi Vasudev and look forward to meeting him sometime soon. #MadeOfGreat Indeed! As he traverses seamlessly from the ancient to the ultramodern, bridging the gap between the known and the unknown, enabling all those who encounter him to explore and experience the deepest dimensions of life. #MadeOfGreat is a confluence of two great icons – Tata Motors & Lionel Messi. Tata Motors – our own home grown brand producing best cars in the world right from Land Rover, Jaguar to Tata Nano. Indeed Tata Motors is doing great service to the nation by providing cars suiting every budget. Messi, who took his Football team to the final of World – Cup is a talent galore with conviction & an icon for today’s youth. His determination on the field is awe-inspiring. Thus establishing great connect with the brand #TataMotors which is globally known for its trust, integrity, innovation. Like we say for #TataMotors & Lionel Messi -What drives us from within is what makes us great, Discover what drives Lionel Messi, Global Brand Ambassador, Tata Motors, from within. Driven by Design, technology and the road ahead – Tata Motors, #madeofgreat. Moms go for everything – #SoftestForBabySkin – Pampers lead the pack!! Babies – The most special creation of GOD, need special care in all respects. If not taken care properly, the results will be very drastic which may lead to all sorts of infection. In early days of birth, child should be put under special care where his tender skin and systems are not exposed to any adversities. Being a mother is indeed a very special feeling and it elevates your position in your own eyes. Suddenly from a carefree girl, you get transformed into a responsible woman. Holding a baby in your hands and close to your bosom generates very special emotions in a mother. As a mother, your biggest responsibility is towards his tender skin which should be treated with utmost care as it is most prone to all sorts of infections. The first activity which starts right from the time of birth is of peeing and pooing which is quite a bothersome activity for young mothers, especially first timers, but one has to put up with it. Special care needs to be taken regarding this activity so that tender area remains dry all through, especially during the nights when it is particularly difficult to attend. What to say if baby is born in winters? Pampers – Biggest revelation in a young mother’s life. The activity (peeing & pooing) can be best taken care by Pampers which are the softest diapers for the babies, hence preferred by mothers all over the world. Soft and hygienic diapers are very important – read Pampers which keep baby’s bums dry through the night and he sleeps peacefully (& mothers too). It is very important to keep baby’s bums dry and smooth as his skin is unable to bear even slightest of harshness which may lead to rashes. Skin’s health is best maintained by soft and dry diapers because your baby’s skin is smooth, soft and highly delicate which needs that extra care and attention. This is provided by Pampers Premium care pants surely, with Magic Gel that instantly locks away wetness, Pampers baby dry pants keeps your little one’s skin dry and healthy. They’re also easy to pull up and down and provide your baby with up to 12 hours of overnight dryness for fresh and happy mornings. So how do I know that? I gave the hamper of Pampers Premium Care pants to my colleague Ikwinder Singh’s new born son and got an update from his wife Harpreet, that baby loved them, and she even more. She was not compromising on her sleep anymore. (I shared the Pampers hamper with him which I received during Pampers event during WIN 15). I must admit that Pampers are made of softest and most hygienic material which is ideal for baby’s soft, smooth and delicate skin. Ikwinder shared pictures of his lovely babies, enjoying Pampers Premium care pants. Mothers are very fascinated with their little bundle of joy and want to dress him to the hilt. But according to me you should avoid dressing your babies like Christmas Tree, instead doll them up in simple cotton or hosiery material dresses which should be made of softest & hygienic fabric. Choose light weight and smooth fabrics which enable baby’s skin to breathe all through, though you can opt for floral prints, bright plaids or soft pastels. Believe me your baby will look lovely, and will be comfortable too. Skin – friendly fabrics are important, as harsh fabrics may cause rashes on his tender skin. So for the time being you can avoid those frills, embroideries and embellishments. Nowadays, very nice fabric softeners are available in the market which not only softens the clothes but also add aroma to the clothes. According to me, instead of leaving clothes with wash of harsh detergents on baby’s clothes and undergarments, using fabric softener will be a great value addition. It will keep your baby’s skin tender and soft. Soft clothes and undergarments help in keeping away all sorts of infections, hence saving you from trip to doctors. As goes the saying – Prevention is better than cure! The apple of your eyes needs the best. You bring those kiddie print bed sheets for your darling little one with Barbie Prints or Chota Bheem prints, but wait have you checked the fabric or have just gone with the print? Prints can wait, till he grows up a little and his skin is able to bear brunt of fabric. But as for now, he will not enjoy the print but fabric of the bed sheet which should be soft on his tender skin as he spends most of the time on bed. Bed sheets made of pure and soft cotton should be laid on his bed which gives warmth in winters and coolness in summers. Have you tried Khadi bed sheets? Your baby would love to be on them…and you even more as you are helping an artisan by buying khadi. I know, baby’s birth brings lot of extra work for mothers. You are up late-nights, work during the day, attend to various chores like his peeing & pooing and constant feeding etc. You barely get time to attend to yourself. But please take out time to attend to your hands at least which should be regularly moisturized and sanitized so that when you hold the baby in your hands, he loves it even more in your tender hands. A child is happiest in his mother’s arms; make sure your hands are the softest in the world for him. Regular use of hand creams, lotions and moisturizers is must for young mothers. What is the use of providing him with all things soft around him, when your own hands are not? I think these five things will not only keep your baby’s skin soft, dry, tender & infection free but mothers happier too. You should go for everything, #SoftestForBabySkin. Post II for the activity. November 11, 2015: Diwali, festival of lights, always had special significance in my life; I love the festival beyond limits. My mood completely transforms during these days, as I come in great festive moods, when my mind is surrounded by thoughts of Diwali and Diwali only. This Diwali was special in many ways, quite different from others and yet…to be cherished forever! …I had changed the job and celebrated my first Diwali (Dhan Teras) at my new office, MCHI with my office colleagues. This was the only job in my entire career, where I took longest to adjust. I feared each day; I will not survive here more than few days. I kicked myself everyday for making this career choice. But not only I survived; I survived well, mixed with my colleagues like sugar in the milk. Celebrating Diwali with them was quite an experience! Though I missed very much the Diwalis celebrated in my earlier office, Apnapaisa.com. Still, this Diwali celebration was no less! We celebrated Dhan Teras with great fervour in office with celebrations at home for my brother Prabhat’s birthday. Not to mention, Magnum ice-creams given by office, this added to the celebrations. What challenge it was to bring that box of ice-creams in local train, but I loved it when family relished it. With new job, many things changed, like new office timings, new train timing, new set of train friends, new office colleagues, new office vendours, new boss…everything. But one thing which remained same was my fighting spirit to counter all these new changes in my life which had thrown new challenges. I promised to me, I will not run away without giving a tough fight to all this and more. I will quit when I am at peace with myself and as a well-thought move, not giving it up all, and today I am completing one year here. Fun time with pretty colleague Jaya Sawlekar. On personal front, the challenges were not less; daughter Tanya had boards, and career choice entrance exams, anxiety paramount. Encountered & endured all, Tanya passed with flying colours, got selected in many design schools and made a choice of UPES Dehradun. Things looked up after a long period of turmoil. Sending her that far was very tough decision, and it happened…whatever was to happen, happened. For the first Diwali, Tanya was not with me as she could not come over for Diwali holidays from Dehradun. I missed her badly, but was satisfied that she enjoyed Diwali with the family of my childhood friend in Dehradun. I am indebted to Bijalwans for all my life, for giving such happy moments to my daughter and making her Diwali truly special. I fondly remembered last Diwali, when many of Tanya’ friends were at our place for Diwali celebrations who took charge of the kitchen, decorated the house with Rangoli, did Puja…what not. I also fondly remembered Diwali when Papa was around who loved to celebrate Diwali with all his family members in Gwalior and did so year after year. It was almost a ritual to visit city of Gwalior and Gwalior Fort to enjoy the lighting after Dinner. It was so much fun with all buas, chachas, chachis, phoophas, cousins…Dadi & Baba. So many people, so many festivities, so much confusion…near mayhem. But it was great fun! The days look like part of history…where everybody has moved on in their respective live. With papa no more, most of his sisters & brothers gone, Diwali will no longer be same for “Gwalior Gharana” as we addressed ourselves. I also remembered my Diwali in Lucknow when I, Prabhat and Mummy made lavish preparations for Diwali, I used to drive mummy to many shopping sojourns just before Diwali. Now she is ill and can’t be part of festivities like that still her presence is a great force who keeps telling us what to do and what not to do on Diwali, year after year. This year Diwali is particularly peaceful. I did Puja peacefully, lit up the entire household and made elaborate Puja preparations and kept talking to Tanya, friends and relatives wishing them happy Diwali throughout the day. The only thing which has not changed is Diyas in my aangan, which luxury I had in our house in Gwalior, now in Mumbai too! ‘51 diyon ki deepmala’ in my aangan is a visual treat and I get so many compliments for my Rangoli and Diyas from all my building people. I loved it then also, I love it now also. Though, the ritual of shopping was missing this Diwali, as I wanted to make someone else’s Diwali special. It gave me so much joy – The joy of giving! Hopefully, shopping ritual will spill over of my birthday on November 29. Till then, may Goddess Laxmi showers her blessings to all my followers, friends, fellow bloggers & family! Last but not the least, special thanks to Blogadda team for making this year truly special for me when I was part of many contests for which I won many prizes and WIN 15. Thanks Blogadda for keeping the child in me alive! Ladies watch Tamasha, in Tamasha Collection of Triveni Sarees! 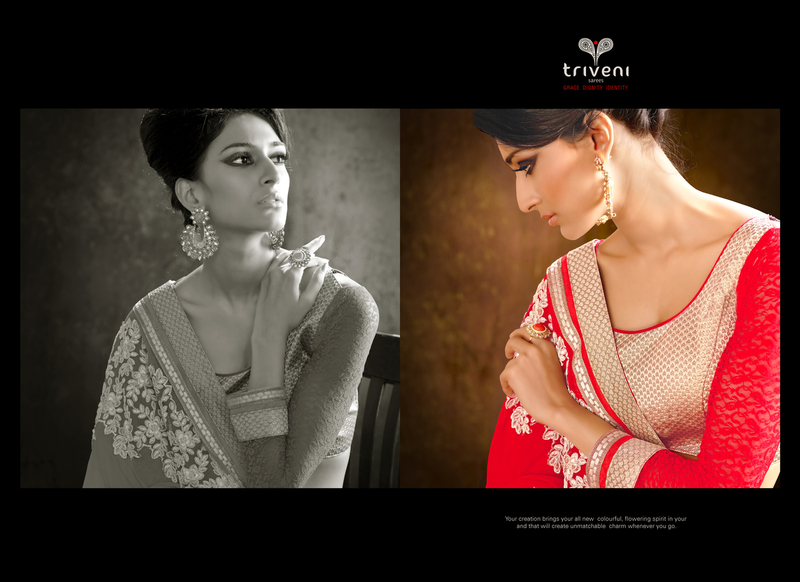 Blockbuster from Triveni Ethnics: TAMASHA Collection! With festive season just knocking our doors, what could have been better than adorning a beautiful saree and stun your guests! Triveni Ethnics have recently launched Tamasha collection, for the young & upwardly mobile ladies who want to make their festival special. Saraf informs, after dual sarees of Chennai Express, these sarees would be a welcome change which would have great acceptance amongst youngsters who want that special look for parties, festivals, sangeets, movies or just outings. I couldn’t have agreed for more! For some sarees, the collection looked inspired by 70s look of Mumtaz who adorned heavily embroidered georgette sarees with élan…who would mind that retro look for friend’s sangeet. Tamasha has Georgette sarees in sober shade fabrics with one satin saree. 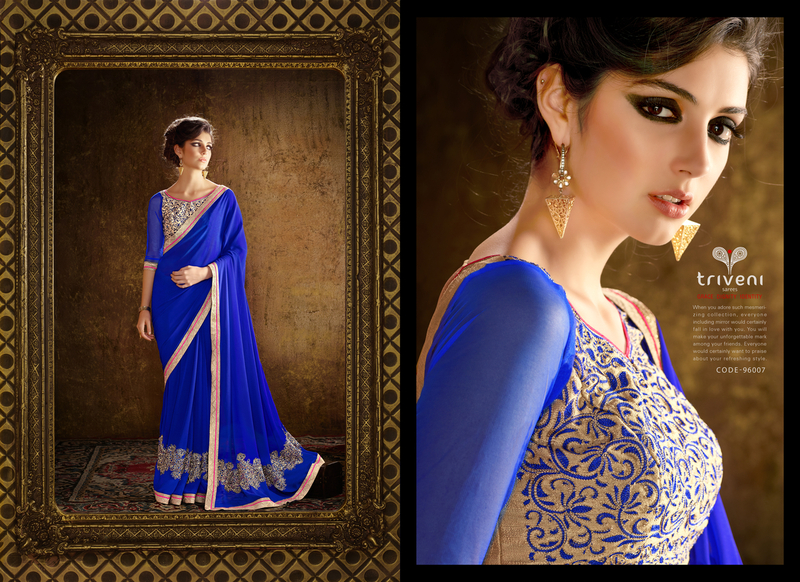 The body of each saree has exclusive cut patches and readymade borders. The beautiful embroidery work on shoulder gives a unique look and feel to this collection. The box pallu embroidery patches enhance the grace and beauty of the wearer. Every design is unique in the embroidery pattern and placement, which makes each saree different from the other. Complementing the beautiful sarees, in this collection, are beautifully crafted unique blouses in various fabrics with attractive embroidery. This collection has a plethora of fabrics and patterns to choose from. Chiffon, georgette, jacquard, printed fabrics, brasso, satin / velvet for blouses and borders and shaded fabrics offer you a vast choice in a single collection. Also the attractive borders and embroidery in embroidered patches, stone work, foil work, hand patches, cut work and machine embroidery represent the magic story in the collection. Now you too can match the look of Deepika Padukone in Tamasha. While you are booking your Tamasha tickets online, you can order your Tamasha saree online too at http://www.triveniethinics.com. The two-day festival (October 31 – November 1) organized in association with High Street Phoenix was first of its kind being hosted in Palladium, Lower Parel, Mumbai. Beer & Wine connoisseurs were seen having a great time at this fest…besides celebrated actor Sachin Joshi who sampled some great collection of wines & beer at the fest. The fest was an especially handcrafted weekend destination for all the beer & wine-lovers in the city, which gave everyone the opportunity of sampling the top-notch brands in the industry. A wide array of wines to select from, showcasing and sampling world of wines from India, France, Italy, Australia, Spain, Chile, South Africa, Germany, California, UK and New Zealand where you could experience the wines from names like Living Liquidz, Chandon India, Prestige Wines, Berkmann Wine Cellars, Fratelli Saraceni Wines, and many more! The theme chosen was “Vintage” as it holds royalty traits of the ancient times. As you all know, Wine has been there since decades and it is enjoyed by everyone ever since it was created. The best and the most flavoured wines are often bottled and then cellared for decades (giving it a vintage feel) as the texture and flavour takes decades for fermentation. This helps to bring the wine’s flavours into a harmonious ideal. When a wine’s flavour has aged into its potential, it is said to have reached its peak and it’s time to drink it. Thus the Vintage theme was the ideal match for the Beer & Wine out festival. It is believed that wine is bottled poetry, every time you unscrew the cork, words can never befall you. If you too are passionate wine-lover, know all about it or are a wine connoisseur in the making, then this fest was a great place to be in. 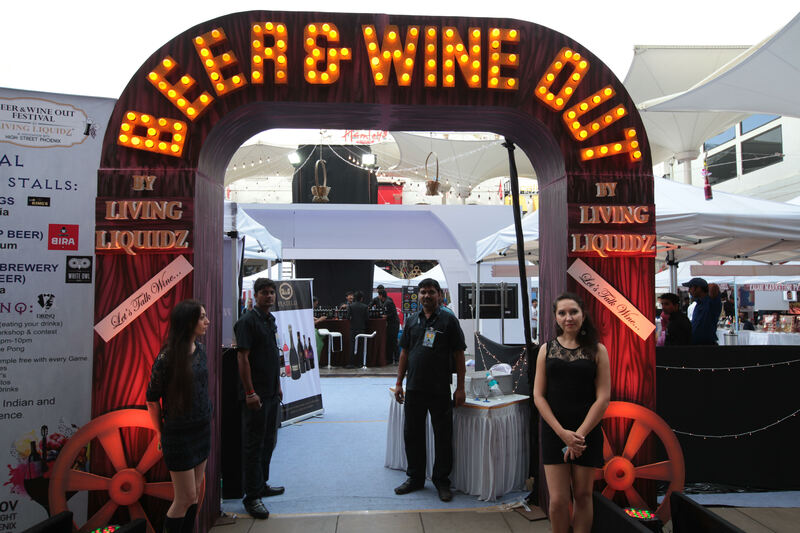 Presented by Living Liquidz who has asserted themselves as the global benchmark for fine wines and liquors, this was like having the one-stop-shop for all party lovers. Beer & Wine Out festival also had treats for the beer lovers. Beers like the popular Goa Kings Beer and Bira 91 were there to tease your taste buds at this two-day stress busting affair. The traditional process of making wine is dated back epochs ago when wine was prepared by crushing grapes inside large tubs and tanks with the help of just your feet instead of a mechanized method or wine press. This grape stomping tour is not only a fun team activity but it is also accompanied with tasting the end product as well as other fine wines plus dancing to music along with couple of other entertaining activities. With festivities round the corner, this two day festival also helped giving everybody the best gifting options for your loved ones. It was really a great occasion for Beer & Wine Connoisseurs to Chill Out to the hilt, which they did, I am sure! The KL PASS™, an integrated tourist pass was recently launched in Kuala Lumpur, Malaysia offering tourists seamless access to tourism attractions and supporting amenities on top of other privileges and benefits. With the KL PASS™, tourists are entitled to gain entry without further payment at participating tourist attractions. All they have to do is present their pass at the entrance for verification and once the card’s validity is confirmed, they will be granted entry. The KL PASS™ can also be used to gain discounts and other special privileges when shopping, dining and entertaining in Kuala Lumpur. The KL PASS™ comes in six variants; 1-Day, 3-Day and 6-Day pass for adults and children. The 1-day adult pass is priced at RM165.00 while the 3-day and 6-day passes are priced at RM395.00 and RM675.00 respectively. The 1-day child pass is priced at RM125.00 while the 3-day and 6-day passes are going for RM325.00 and RM515.00 respectively. Tourist attractions currently on board of KL PASS™ include The KL Tower, Aquaria KLCC, The KL Butterfly Park, Berjaya Times Square Indoor Theme Park, Batek Workshop at Kompleks Kraf, the Craft Museum, Discoveria@Avenue K, Escape Room @ Berjaya Times Square, Laser Battle @ Berjaya Times Square, MUD The Musical, The KL City Gallery, The KL Hop-On-Hop-Off, the KL Tram, Sunway Lagoon Theme Park, the Telekom Museum, The Foundry Workshop @ Royal Selangor and Zouk KL. The KL PASS™ is available for purchase online as well as a number of sales outlets in the city and at KLIA. Foreign tourists may purchase the pass in their home countries and choose to either have the pass sent to them or collect their passes in KL when they arrive. Among the places the pass is currently available is at the KL City Gallery, the KL Concierge Kiosk and at the KL Hop-On-Hop-Off ticket counter. In the near future, a number of tourist attractions will also offer the pass for sale. Currently at Phase 1 of its development, the KL PASS™ will include more establishments and public transportation in Phase II. A very conservative figure of 20,000 cards are expected to sell within the first year of operations. The KL PASS™ website has organically attracted over 2,000 unique visitors in less than two weeks since it went live. What is more encouraging is that these hits have come from all over the world, including the UK, France, Germany, Spain, China, India, USA, Japan, Australia, New Zealand, Singapore and the Middle East. (MyFEST) campaign in 2015 with the theme “Endless Celebrations” emphasising the various festivals celebrated by its multicultural society. Both campaigns are key drivers towards achieving the country’s target of 36 million tourist arrivals and RM168 billion in receipts by 2020, as outlined in the Tourism NKEA (National Key Economic Area).